If New Hampshire backed out of the Regional Greenhouse Gas Initiative (RGGI), it would result in higher bills for New Hampshire consumers and would eliminate the least expensive way for the state to comply with upcoming federal regulations, Synapse’s Dr. Elizabeth A. Stanton testified on Thursday. State Representatives Barry, Moore, and Notter introduced a bill on January 7, 2015 that would end the state’s participation in the cap-and-trade program, which requires power plants in nine participating states to purchase an “allowance” for each ton of carbon dioxide emitted. Each RGGI state receives a set share of the proceeds from the sale. 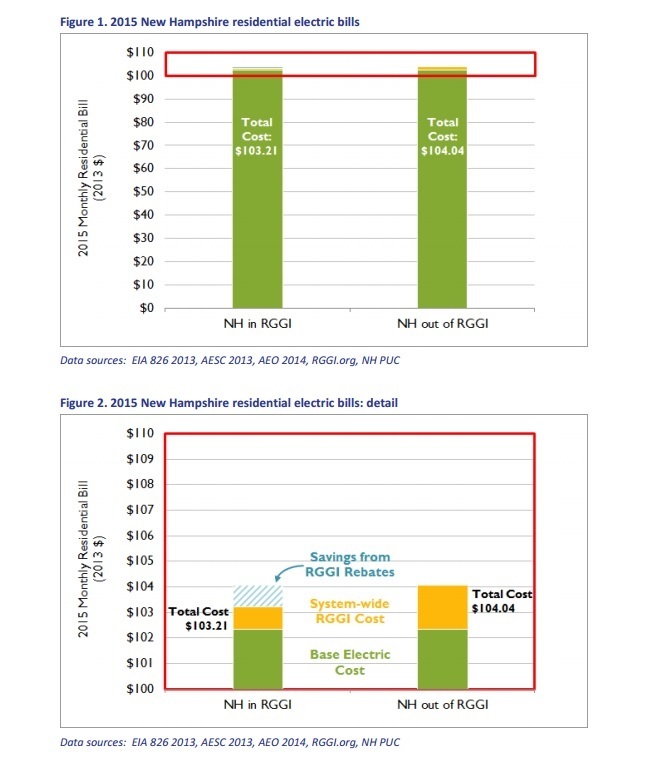 According to Dr. Stanton, who testified on behalf of New Hampshire’s Office of the Consumer Advocate, repealing RGGI would cost the state’s average residential consumer $10 in 2015, rising to $25 in 2021 and years thereafter—even before accounting for the lost savings from RGGI-funded energy efficiency programs. Dr. Stanton also testified that RGGI is the least expensive way for New Hampshire to comply with the EPA’s proposed Clean Power Plan. States that team together to comply through multi-state plans—plans modeled after initiatives such as RGGI—could see cost savings. New Hampshire would have a tougher, more expensive time trying to comply with the regulation if the state abandons this key initiative already in place.